Steam Railway appeal locomotive, '7MT' No. 70013 Oliver Cromwell has been booked to star at the Gloucestershire Warwickshire Steam Railway's 'Cotswold Festival of Steam'. The 'Britannia' will be making its preservation debut at the May 26-28 event, and it will be the first time a member of class has worked over the former Cheltenham-Stratford route since BR days. Subject to final contracts, 'Cromwell' will be appearing at the three-day gala courtesy of the National Railway Museum and the 5305 Locomotive Association. No. 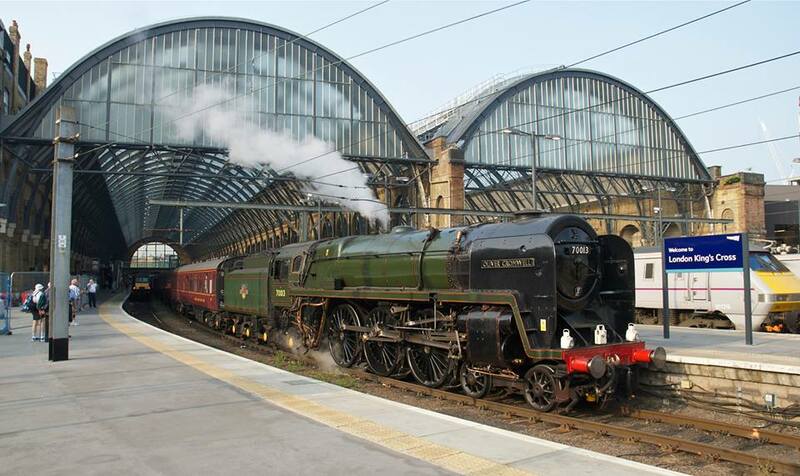 70013 is the third visiting locomotive confirmed for the event, following previously confirmed 'King' No. 6023 King Edward II (courtesy of the Great Western Society and Didcot Railway Centre) and Churnet Valley Railway-based 'S160' No. 5197. It will be second time lucky for the USATC 2-8-0 class on the GWSR; No. 5197's classmate and CVR stablemate No. 6046 had been booked to attend last year's 'Cotswold Festival of Steam', but had to withdraw at the eleventh hour owing to an overheating big end bearing. A further guest locomotive is expected to be announced shortly.